The state of Texas ordered natural gas utilities, including Atmos Energy, to replace the supply lines seven years ago that are now being replaced by the company after a house explosion killed a 12-year-old girl last week. 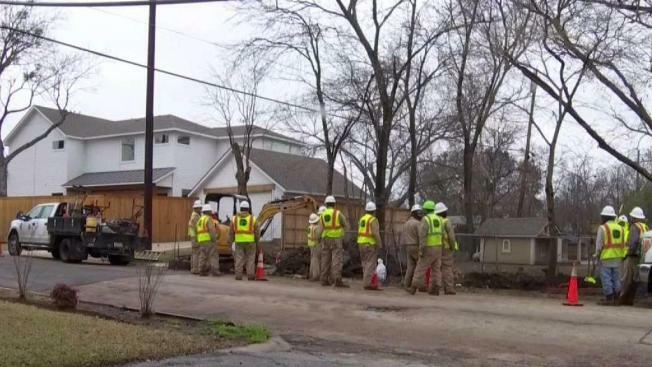 Atmos officials announced that service to 2,800 northwest Dallas homes was shut off at noon on Thursday for up to three weeks as metal pipes are replaced to every customer. "The safety of this community and of our customers is of prime importance and our highest priority," Atmos chief executive officer Mike Haefner said. 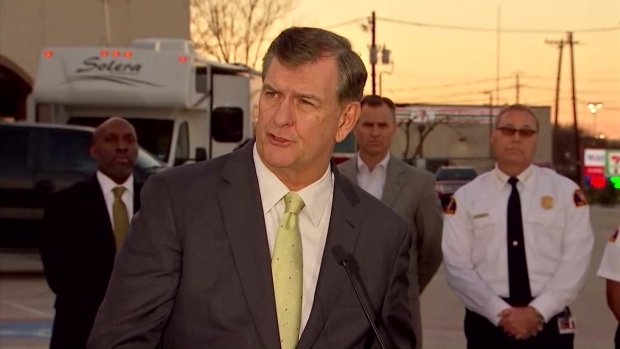 Dallas Mayor Mike Rawlings and Atmos Energy officials give the latest update on a planned gas service outage to 2,800 homes in northwest Dallas. The company promised to cover the cost of hotels and other expenses for residents unable to stay in homes without gas service. It will also provide experts to safely reconnect service when repairs are made. The area includes Espanola Drive, where Friday's fatal explosion occurred, and is bounded by Northwest Highway, Webb Chapel Road, Walnut Hill Lane and Lakemont Drive. A 2011 Texas Railroad Commission directive to replace metal pipes gave utilities a 2013 deadline to replace those sections with a line leak rate of 7.5 percent or greater. Officials did not directly answer a question about whether this particular area was to have been replaced by now. 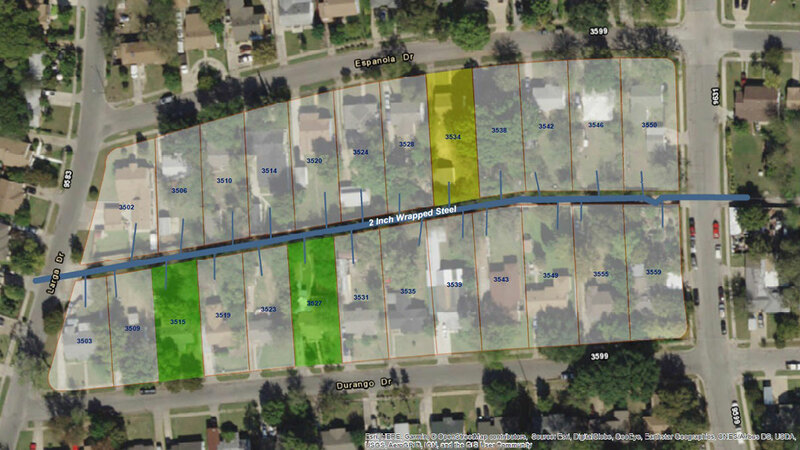 In this image provided by ATMOS Energy, the locations of the Feb. 23, natural-gas related explosion (lot marked in yellow) and two homes destroyed by fire Feb. 21 and 22 (lots marked in green) are depicted. See a larger image here. "We are constantly monitoring our system, all across the company," Haefner said. "We are risk-ranking our infrastructure. And across the company we are investing over $1 billion on replacement and safety investment in order to modernize the system and more important, keep it safe and reliable." Visiting the area Thursday, independent structural and geotechnical engineer Tom Witherspoon found heaving concrete in many sidewalks and driveways. He said it demonstrates that underground gas lines in the area were subject to the same shifting soil for many years. He also reviewed the 2011 Texas Railroad Commission directive on metal pipe delivery systems. "And what it's saying is, it's going to have to be replaced starting in the worst neighborhoods first. And it's obvious with this problem here that we're in one of the worst neighborhoods," Witherspoon said. 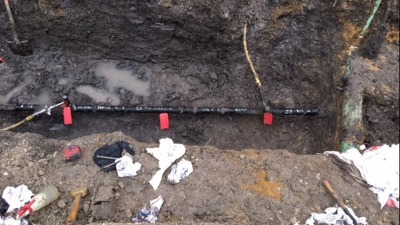 In this NTSB photo, the failed service tee connection to 3524 Espanola Drive, is tagged with NTSB evidence tags in preparation for transport to the NTSB’s materials lab in Washington. The company said engineers it hired found unexpected damage to the gas lines in this specific area was the result of a unique combination of underground rock formations, coupled with record February rain. "We've had rain before, but our geotechnical engineer has pointed out, it's this moment in time, the way this formation is acting," said Kevin Akers, Atmos senior vice president of safety and enterprise services. "There is no way to have been able to predict, understand or know that this event was going to occur." Company executives said Atmos has been spending $1 billion a year on upgrading infrastructure but this area had not been included in a replacement program before. "Ultimately, it would have been replaced, but we weren't seeing performance issues in this area that warranted, at that point, it being replaced at that time," Atmos Energy Mid-Tex Division President John Paris said. The area was developed in the 1940s and 50s. 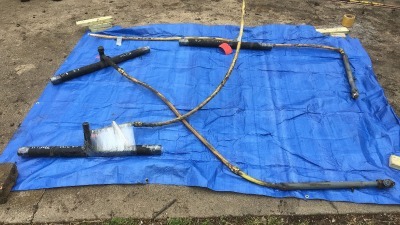 "They know, by the age of the neighborhood and the fact that it was steel pipes supplying this gas, that they are vulnerable," Witherspoon said. He said many other North Texas neighborhoods have the same clay soil conditions with old metal gas pipes that could pose danger. "For whatever reason it was manifest here catastrophically, but other neighborhoods are in the same serious problem, and they're going to have to be addressed as the state has mandated," Witherspoon said. "This is going to be a massive job over a long period of time." Dallas City Manager T.C. Broadnax said he would see to it that Atmos kept the promises it made Thursday. An attorney representing the family of the dead child said Atmos will be hearing from him, as well. Natural gas leaks are rare, but they can be deadly when they occur. Because of that, federal and state regulations require utility companies "odorize" natural gas so that it can be detected by people in normal circumstances. The smell added to natural gas is offensive, similar to that of a rotten egg. The biggest threat of a natural gas leak is an explosion. The gas becomes extremely volatile when allowed to become concentrated in an enclosed area and a simple spark could cause a devastating explosion. Atmos Energy recommends the following in the event you think you've detected a gas leak. Leave the area immediately and tell other to leave, too. DO NOT use a cell phone, telephone, garage door opener, doorbell or even a flashlight. DO NOT assume someone else will report the leak. Once you're safely out of the area, call 911 and Atmos at 866-322-8667 to report the leak. Gas leaks that occur outside the home are dangerous as well. Most gas lines are buried underground. Before doing any digging, call 811 at least 48 hours before digging so that utility companies can mark where underground lines are buried in your yard. This service is free and it's the law.